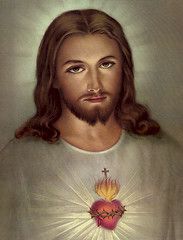 I believe that Jesus Christ is the Son of God and God the Son; that He is eternally existent. He was never created, but He is the Creator and the Second Person of the Trinity. I believe that Jesus was incarnated by the Holy Spirit, born of a virgin named Mary, and that He lived a sinless life during all of His earthly days. He then died for all of man’s sins on a cross and shed His blood to make an atonement for our souls. He then remained in a grave for three days and three nights. He bodily resurrected from the tomb, walked the earth for forty more days, and then He bodily ascended into Heaven. Jesus has the power to save all who come unto God by Him, and He now sits on the right hand of the Father’s throne to mediate for repentant sinners, and make intercession for the saints according to the will of God. I believe Jesus will come back in the clouds, at a time appointed by His Father, to meet His church in the air. He then will return with the saints to the earth seven years later to set up His Kingdom on earth. That Kingdom will last for 1,000 years, and will be followed by His eternal Kingdom in the new Heaven and new Earth. I believe that Jesus Christ is Lord, and that every knee will bow to Him someday, and every tongue will confess that He is Lord to the glory of God the Father.